EWP Ltd. Provided consultancy to the design process. 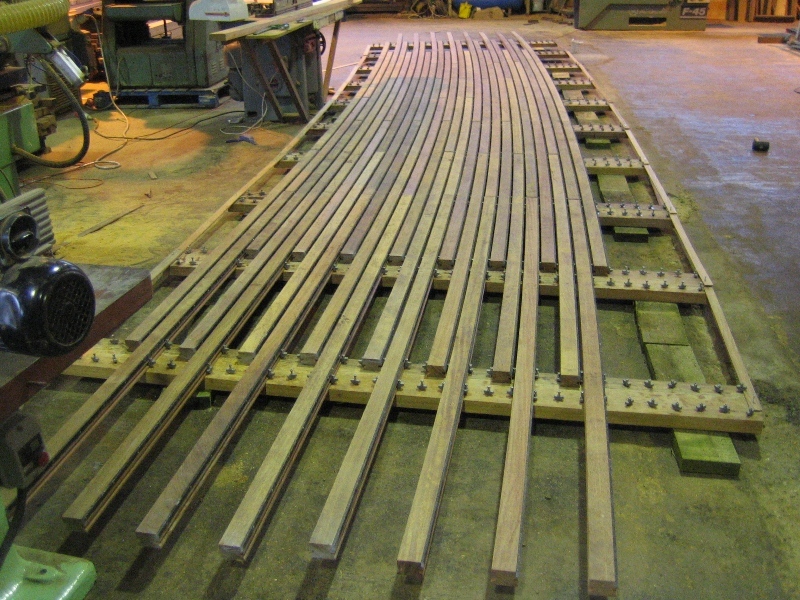 Designed a new fixing system for the deck boards to ensure a fair curvature. 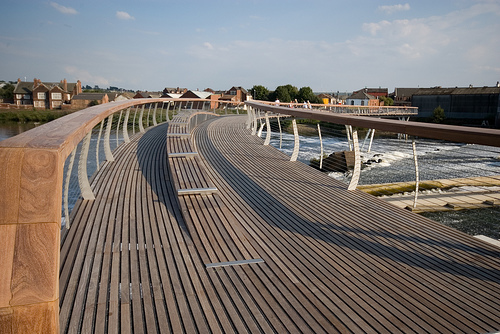 Manufactured the deck in prefabricated panels and the hand rail in prefabricated sections. 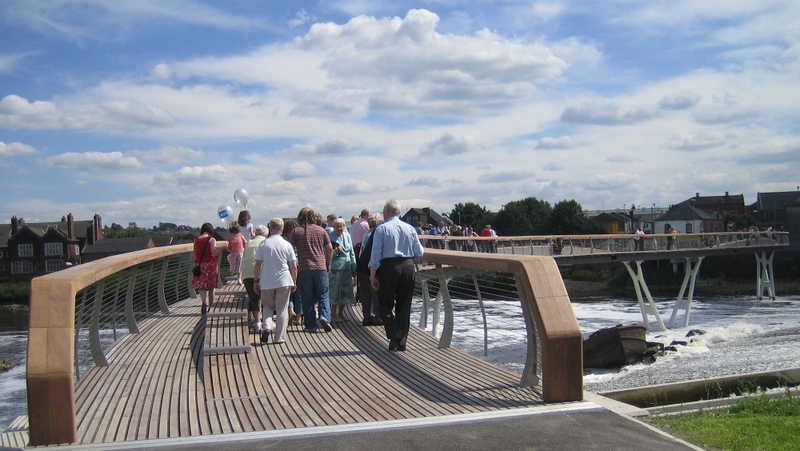 The Castleford footbridge has now won 14 National and International Awards.